After a hard-hitting first trailer, Netflix has now debuted the first 11-minutes from season 2 of it's hit series, Narcoson Facebook during a live broadcast on Thursday. The video clip picks up right at the end of season 1, with Pablo Escobar on the run from the police in the jungle. We are re-introduced to DEA agent Steve Murphy and his life at home with his wife as mounting tensions are higher than ever as he is consumed by the hunt for Escobar. Pablo is also reunited with his family in the clip in which the show leans heavily on the fact that at the end of the day, all he really truly cared about was his family. When Murphy hears of the news of Pablo's escape, he doesn't seem swayed either way. "You know what? I was happy about it. The fox was out of the cage, the hunt was on." With electrifying performances and action sequences charged with heart-pounding suspense, this Golden Globe®-nominated series follows the true-life story of the rise of international cocaine cartels - and the battle waged by law enforcement to stop them. At the center of the conflict are Pablo Escobar (Moura), the notorious Colombian drug kingpin, and the two DEA agents sent to take him down: Steve Murphy (Holbrook) and Javier Peña (Pascal). 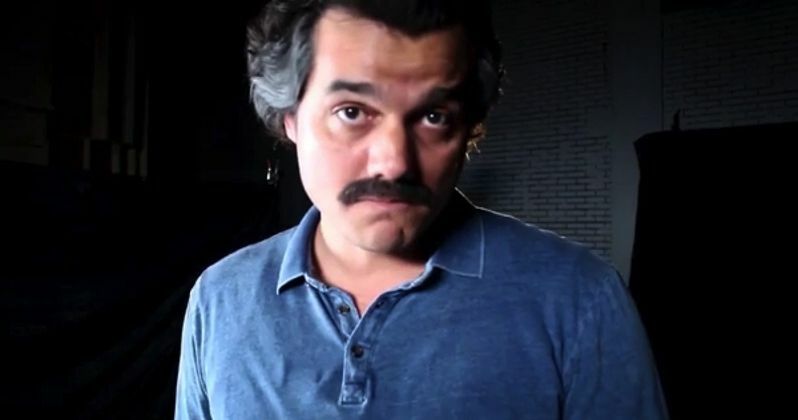 The series stars Wagner Moura (Elite Squad, Elysium) as Pablo Escobar alongside Boyd Holbrook (Gone Girl) and Pedro Pascal (Game of Thrones) as real-life DEA agents Steve Murphy and Javier Peña. José Padilha (Elite Squad, RoboCop) and Eric Newman (Children of Men) serve as executive producers of the series. Narcos is produced by Gaumont International Television for Netflix. All 10 episodes of Narcos season 2 will be available on Netflix on September 2nd.